Charles Fitzroy, later Lennox (1672-1723), illegitimate son of King Charles II of England, Scotland and Ireland, was created on 9-8-1675 Duke of Richmond in the peerage of England and Duke of Lennox in the peerage of Scotland. In 1683/84 he received the title Duc d'Aubigny. Charles Lennox, 4.Duke of Richmond and Lennox (1764-1819) married Lady Caroline Gordon, sister and heiress of George Gordon, 5.Duke of Gordon. Their grandson Charles Henry Gordon-Lennox, 6.Duke of Richmond and Lennox (1818-1903) was created on 13-1-1876 Duke of Gordon. 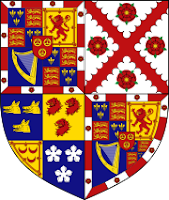 The dukes of Saint-Albans are thus male line descendants of the House of Stuart, whose first known ancestor was Breton nobleman Alan, son of Flaald, who received ca. 1100 from King Henry I of England the barony of Mileham in Norfolk. 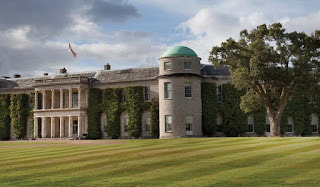 One of his sons became the ancestor of the FitzAlan family, the Earls of Arundel, another, Walter, was made Steward of Scotland by King David I of Scotland. His descendants were the High Stewards of Scotland and became Earls of Lennox in 1488. Matthew Stewart, 4.Earl of Lennox (1516-1571) was third in line for the Scottish succession, as descendant of Princess Mary of Scotland, daughter of King James II. He married Margaret Douglas, the half sister of King James V and daughter of King Henry VII of England. In 1565 Matthew married his son Henry, Lord Darnley, to Mary I Queen of Scots. The son of this couple, James, not only inherited Scotland in 1567 but England as well in 1603, uniting the two kingdoms. 67. Mathilde Hensley * … + …; Dr van John Isaac H.
69. Maria Farrington Harrison * 1817 + St Leonards-on-Sea 3-1-1877; Dr van van de forwarding and shipping agent Joseph H.
85. Emily Hall * ... + 25-12-1847; Dr van William H.
89. Mary Wilhelmina Morrison * … + 26-5-1850; Dr van John M.
Hello, viscountess Astor died on December 28th 2017.